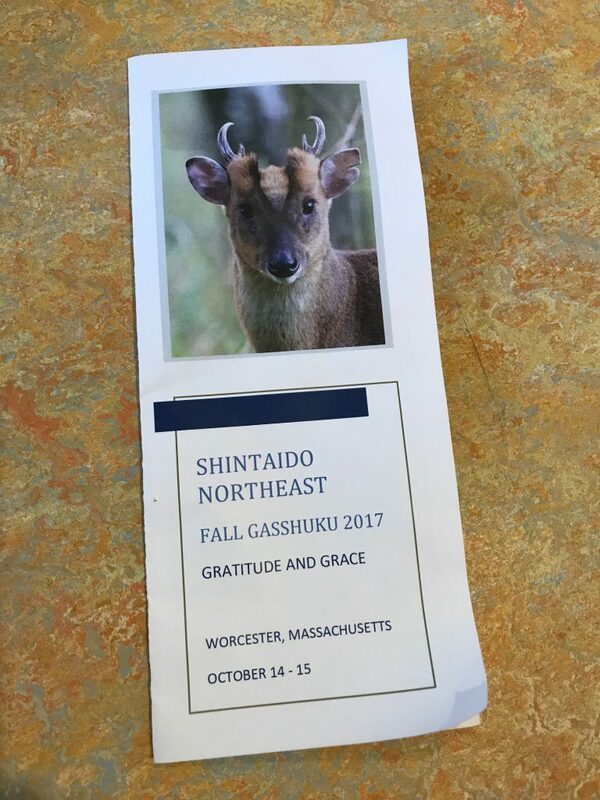 Just got back from our fall retreat (gasshuku), and some of the powerful elements: the theme “Gratitude and Grace” as we work through with our longtime instructor and friend Joe Z. his experience of chemotherapy and our mutual support…The image of the muntjac deer on the gasshuku brochure with the theme of “encountering” the world and the interdependence that can dissolve boundaries that we construct…The beautiful leaves changing colors and gently spinning and falling as we practice. 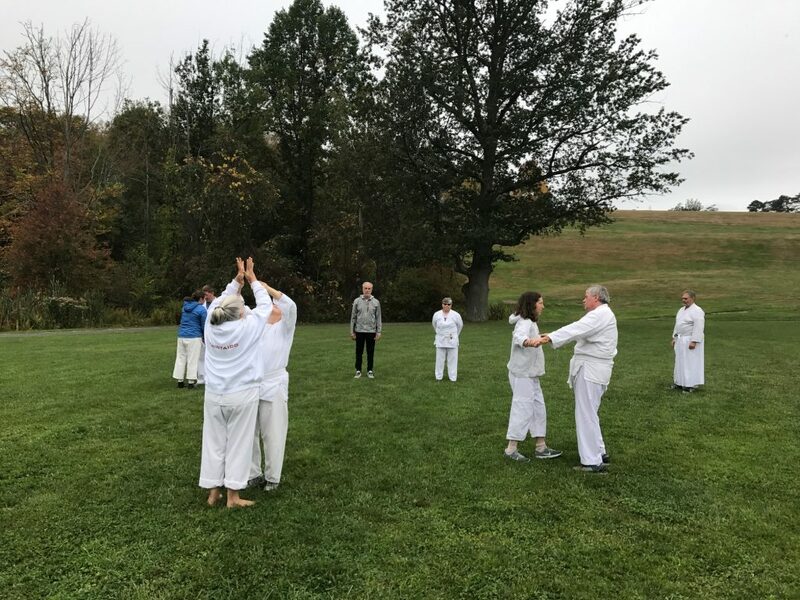 And as always the community of friends that has grown over years and decades as we learn and grow through our body movement, connecting to sky above, earth below, and nature around. Keiko (practice) 1: Green Hill Park, Worcester. A cloudy misty morning, pleasant and quiet. Instructor: Stephen Billias. Part 3 Notes: self-wakame (can be to a variety of things: wind, sounds, even “floaters”…connecting around). 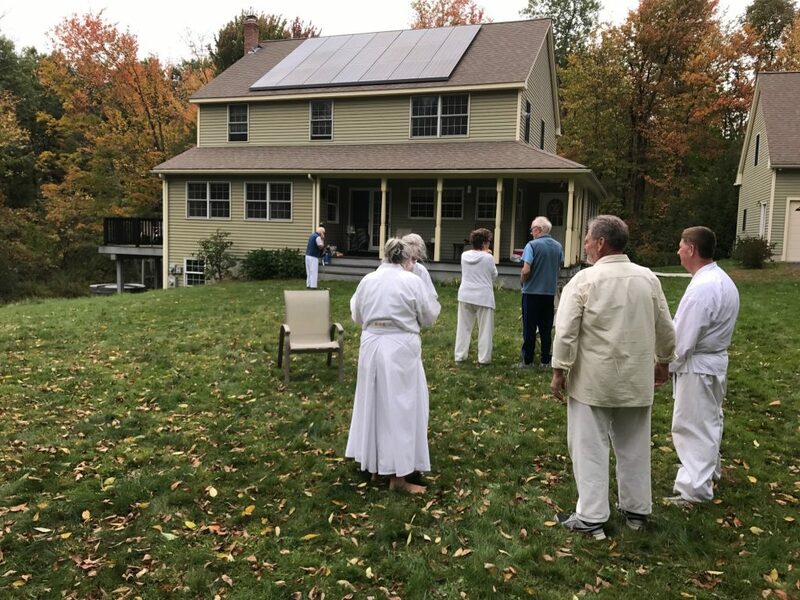 Joe Z. comments: “such a special space created with partner, after bowing, a chance to learn with your partner, creating a special space. Approach it with eagerness. Keiko 3: Joe and Deb’s. 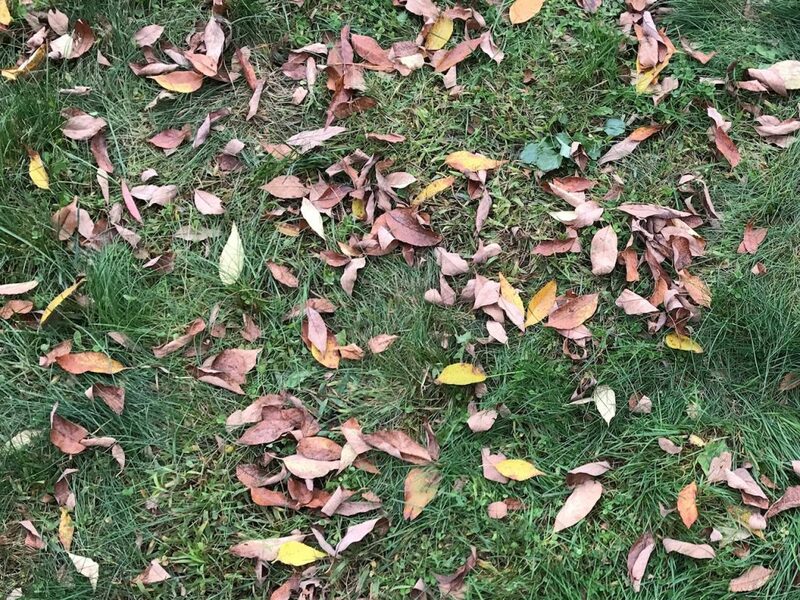 Damp grass Sunday morning, low flying clouds in blue sky, golden leaves flutter down. Instructor: Margaret Guay, with sections from Michael Thompson. 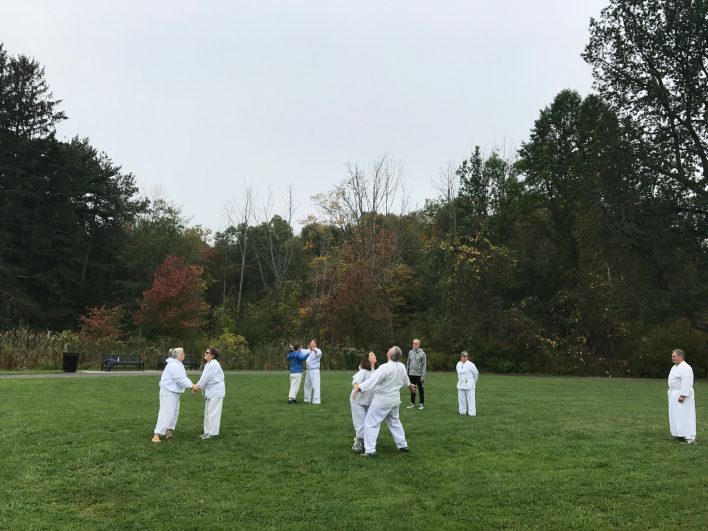 Warmups in tight circle, bringing Joe in first shifting weight, then gentle lift/kick. Margaret’s good cheer, always a part of her keikos. 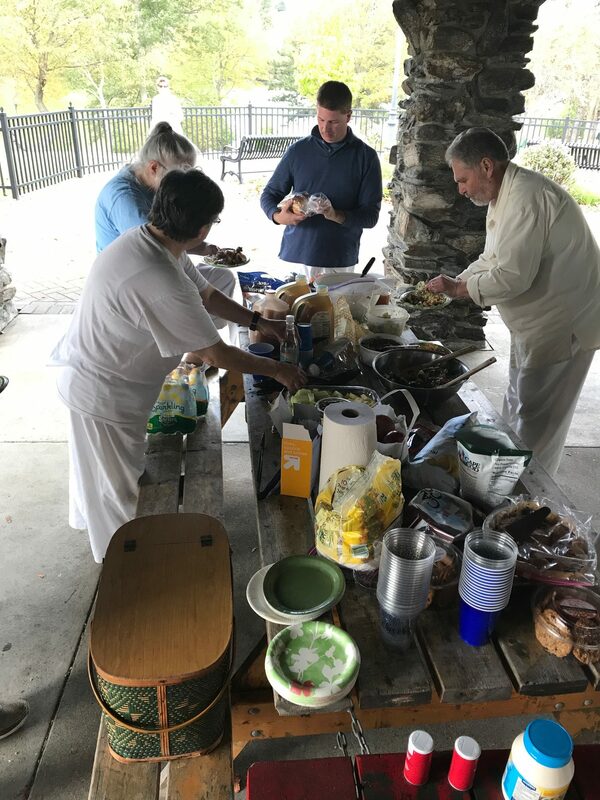 The food (always a consideration): Picnic/potluck lunch on Saturday, dinner at Dalat Vietnamese, a long-time Zaweilski dining spot with some very traditional ingredients if you’re adventurous. (Ask Roger). Sunday brunch at NU Cafe, and (note to self) the best breakfast sandwich I’ve ever had: PortaPesto Chorizo with eggs, chorizo, portabella muchroom, parmesan cheese, and basil pesto on a toasted ciabatta.